The ideal all around wrestling shoe at a great price. The aggressive Duosole® Outsole has also been updated, providing unmatched traction whatever the position. If you’re a wrestler ready to go no matter the challenge, the Aggressor® 2 is the shoe for you. The Aggressor 2 has an ecsaine upper hook-and-loop closure. 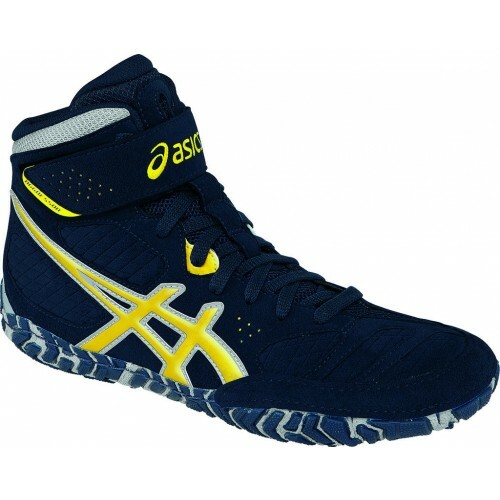 One of the most popular shoes in the ASICS wrestling family, this update doesn’t disappoint. A traditional upper design is highlighted by an ankle strap closure, replacing the customary lace garage system and providing a secure fit around the ankle.